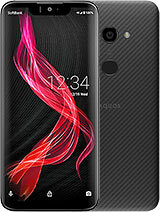 From all appearances, this phones has everything I want, however, I've been trying to find it at a reasonable price here in the USA. I actually have the tm150 and really like it, but I really like the fact that the tm200 has the flash, the 2.0 megapixels and the mp3 player. I do agree with others that it and the tm150 need to have betteries that last a lot longer. If anyone knows how I can get the tm200 for less than $300usd, and not through eBay, please feel free to email me. In a German phone test this TM200 scored very badly. You can buy it now for 160 euro new in Germany (was about 400 a few months ago). The TM200 is a big ugly thing, if i can get it for free i don't want it! 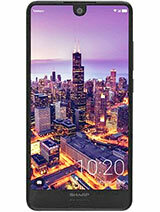 Yes this phone is especialy made for T-mobile and has a T-mobile menu. The pink stripe isn't removable even whem you use a photo of your own as screensaver. Question: is there always that pink T-Mobile stripe underneath the inner display, also when you use a pic of your own? i have just got a tm 200..but it has a problem..gprs and blouthoot features are not opareted.soi need an soluition,please help me oabut this stiuation..in turkey is there any one to learn how to solve this problem.. I would like to upgrade from the TM 150.this seems like the better phone.I like the one I got as a birthday present, but it lacks a speakerphone and bluetooth. vodafone mms and gprs settings are on the vodafone home page. download the sharp 902 settings but enter your phone number. it will work. Ok, i have the TM150 and I like it alot. If you guys live in the USA, how are you getting the TM200? I have heard rumors it will be available for T Mobile in June or July of 2005, but I thought that the TM150 was Sharps only phone for the US? I want one! compare it to the gx30 then! whats so good about an aquaos screen apart from being viewable at all angles? 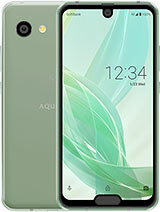 You can't compare the screen with the 902 AQUOS screen is awesome! right now it's the best. Better than GX30/32, TM200, TM150, etc. Not many people have this phone because it's WAY too expensive! I've heard nothing but good things from the people that do have it, but when I checked it out, the cheapest price was $622! Maybe if they lowered the price, more people could have a chance to purchase and write a review on it. No middle or lower class person would ever dream of paying over $600 for a cell phone, no matter how good it is. is the screen better than the gx30 and the 902s? do photos look better on the tm200? This phone is probably short lived like the TM150. Produced and sold for about three month period. Maybe that why. 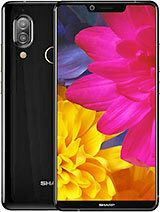 Can anyone tell me, why there are only 100 reviews for this phone model when it has been released almost 5 months ago? The 902 got 1000 reviews already. 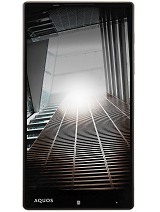 Some Panasonic phone that has not even been released yet got almost 100 reviews by now. I'm just wondering is it because it is not available from third party dealers in europe as much as it is availabe from third party dealers in USA? that not many people bought this tm200? is the screen better than the gx30? Just got the TM200 today. It is really nice but I have one pretty big complaint. The volume is terribly low. It is hard to hear what anyone is saying if there is any outside noise at all. I have it set to "5" as the boys from Spinal Tap would say it needs to go to "11". I wonder if there is a way to get more volume out of it. Features great , phone functions not so. hows the screen compared to the gx30.